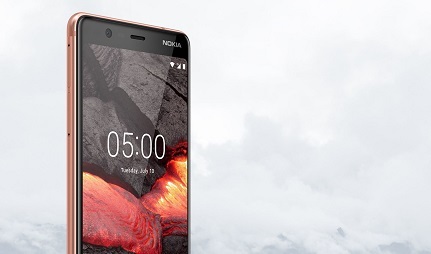 The Nokia 5.1 features a premium and hard-wearing design, crafted from a single block of aluminium. The quality craftsmanship of this handset means it fits perfectly in the palm of your hand, with smoothly rounded corners making this phone a pleasure to hold. This eye-catching design features a large 5.5 inch Full HD+ display, perfect for watching movies, playing games, or simply browsing the web. Your content will look dazzlingly sharp thanks to the higher resolution, while the 18:9 aspect ratio adds a widescreen cinematic aesthetic. 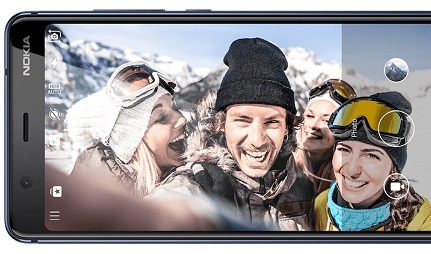 The Nokia 5.1 boasts a 16MP main camera, enabling you to take detailed snaps. This intelligent lens is equipped with phase detection auto focus, so you can capture fleeting moments as they happen, without waiting around for the image to come into focus. To the front of the phone is an 8MP secondary camera, on hand to meet your every selfie need. This stand-out snapper is equipped with a wide-angled 84.6 degree field of view, which means your next group selfie will have no trouble fitting all your friends into the frame. 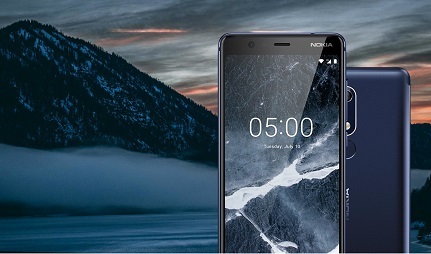 Equipped with a 2.0 GHz octa-core processor, you can rely on the Nokia 5.1 for a smooth user experience, regardless of whether you're playing games, browsing the web, or chatting on messenger apps. Other features include regular security updates and OS upgrades, thanks to Google's Android One software. You'll also benefit from unlimited photo storage on Google Photos, and a smart virtual helper in the form of Google Assistant.